The 2016 GOP candidates have had a slew of embarrassing domain name losses, but the sudden redirect of JebBush.com to DonaldJTrump.com today is pretty epic. Daily Caller appears to have been first to report. CNN says the domain was offered at one point for $250,000, and the Bush campaign failed to or chose to not register it, instead going with jeb2016.com. 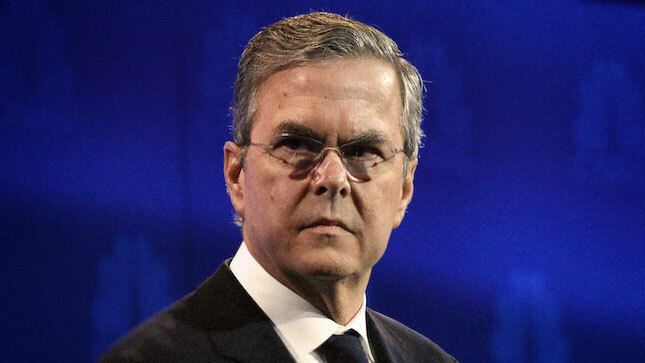 Who bought JebBush.com and redirected it to DonaldJTrump.com? Maybe the Trump campaign, maybe a rich or well connected supporter or group of supporters, who knows. Previously, the domain CarlyFiorina.org was swept away by someone who wanted to highlight layoffs under the former HP CEO, while Rand Paul was reportedly forced to pay out more than $100,000 for RandPaul.com. Currently, the domain TedCruz.com goes to a pro-Obama site.